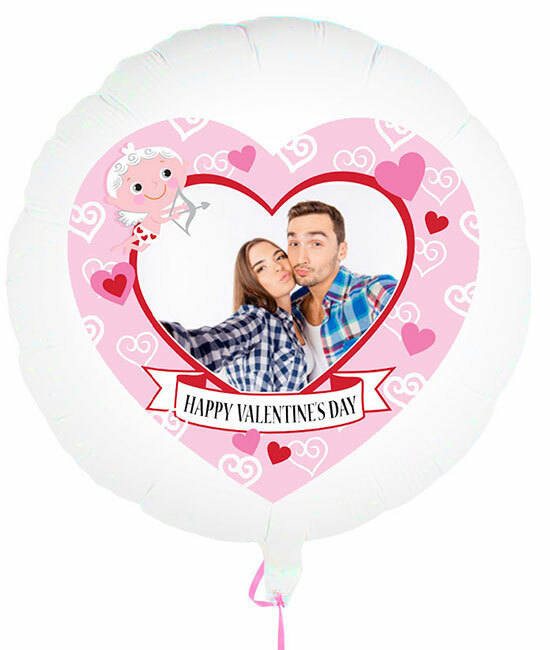 Valentine’s Day 2018 is almost here and here at balloonparty.ie we have a brilliant range of Valentine’s themed balloons to help you surprise someone special on February 14th. 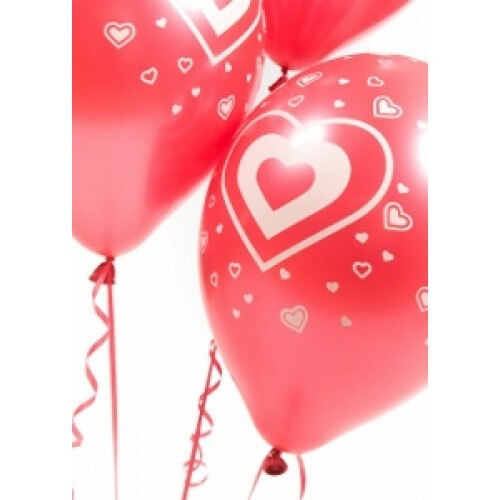 We can provide you with romantic red latex Valentine’s balloons, top of the range Valentine’s foil balloons are you can show your sentimental side with our personalised balloons. Place an order on our site today and then collect your order at a time that suits you. You can collect your order at any of our five locations in Dublin City, Dundrum, Blackrock, Athlone or Limerick. Surprise someone special on Valentine’s Day with one of these red Valentine’s balloon bouquets. 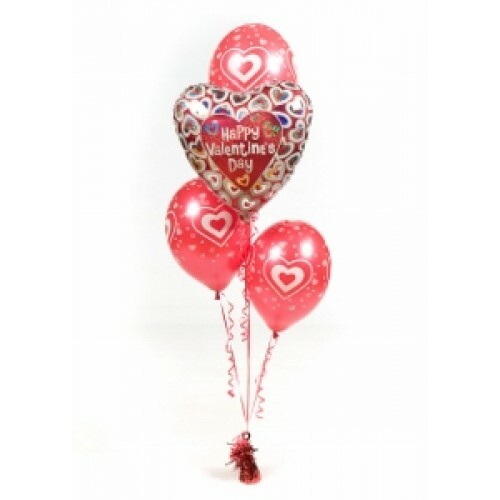 Each bouquet includes 1 x heart shaped latex balloon which reads Happy Valentine’s Day and 3 x red latex balloons with hearts. Each bouquet costs 12.95 euro or you can order a bouquet with 2 x foil balloons and 5 x latex balloons for 17.95 euro. 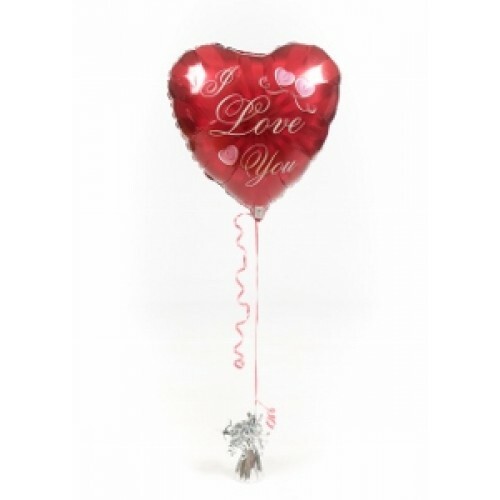 Balloonparty.ie can also provide you with some cute Valentine’s foil balloons. 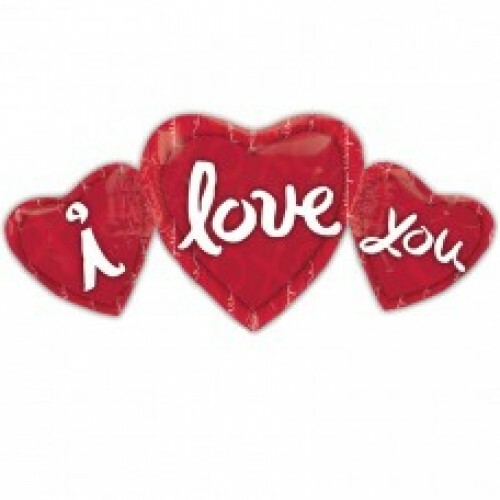 Our Valentine’s range of foil balloons are available in different shapes and designs. 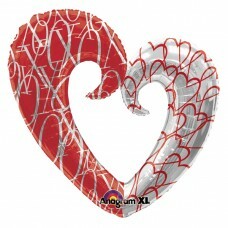 All of our Valentine’s foil balloons are now currently priced at 9.95 euro. Our Valentine’s Balloon in a Box is currently only available for collection at our Dundrum store. 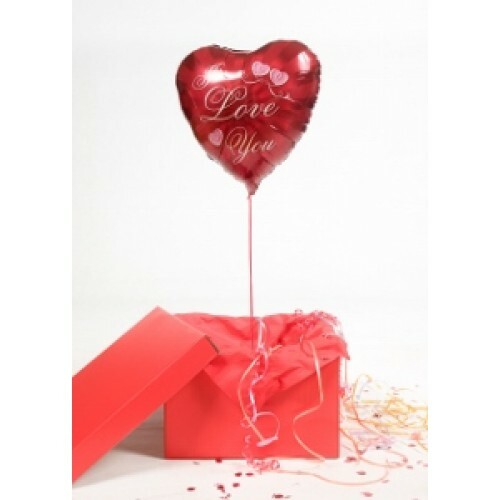 It includes 1 x red heart shaped foil balloon which reads “I Love You”, balloon weight, ribbon and a red box. The balloon is filled with helium so when you open the box, the balloon will rise up out of the box. Our balloon in a box costs 15.95 euro. 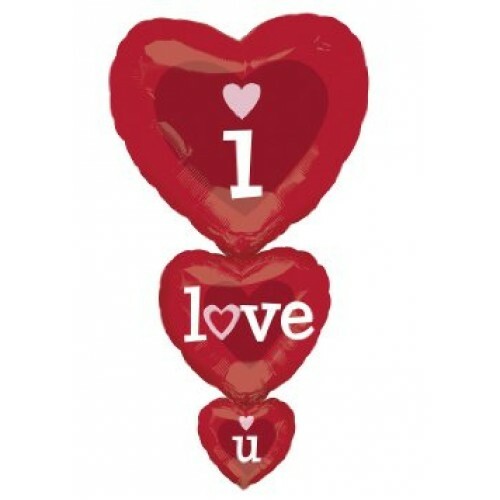 Show someone you really care about them on Valentine’s Day with a personalised floato balloon. Just forward us the image and text you want on the balloon and we will create the perfect balloon. Each personalised balloon costs 18.95 euro. All of our balloon bouquets include ribbon and a balloon weight. 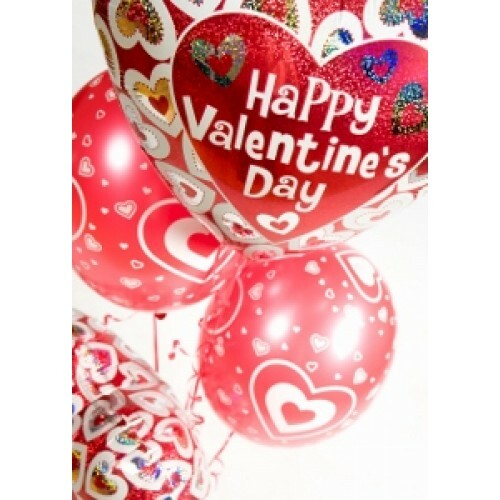 Order your Valentine’s balloons today!